This was shot on my way to work early in the morning at what usually seems like a very boring location. But sometines all the right elements fall into place at a specific moment. A few minutes or even seconds later and everything is gone... Always carry a camera ! Great composition! 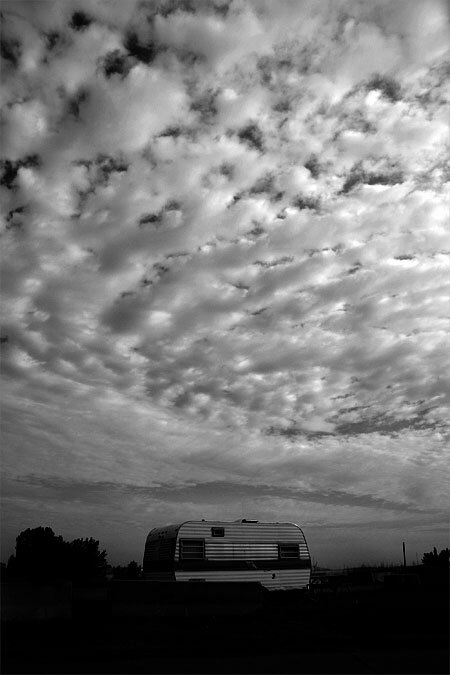 I love the texture of the sky with the lone camper beneath. Wonderful.